On May 13th through 15th, the 2011 U.S.A. National Championships will be held at the Salt Palace Convention Center in Salt Lake City. 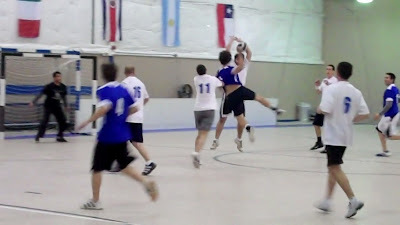 Handball has been an olympic sport since 1972. The United States did really well from 1972 to 1996, and the General Manager of the USA Handball Team, Steve Pastorino, says, "It is our mission to get the USA men and women back to London in 2012 or Rio Di Janeiro in 2016." 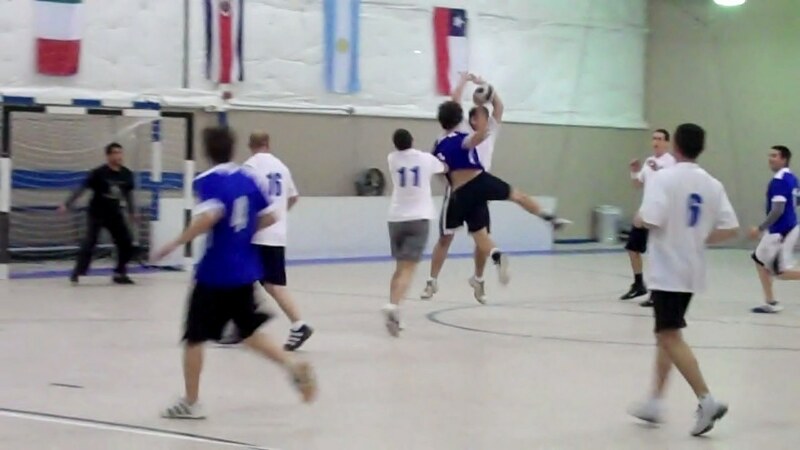 Handball is the 3rd most played men's sport in the world, behind basketball and soccer. Handball is a seven-on-seven team sport played on a court surface like basketball, with two thirty-minute halves. Many of the rules are similar to basketball, but you are shooting into a soccer net instead of a basketball hoop. "If you take the best parts of basketball, la crosse, soccer, and football, and put them all into one sport, this is it! ", describes Patrick Higgins, Director of Development PSA Sports. "It's American sport: It's physical, it's high scoring. The average games sees 35-50 goals. It's physical, it's high-paced, athletic. If somebody goes up for a shot in basketball, I try to stop the shot without making contact. In handball, as soon as that arm goes up, I want to hit their arm as hard as I can with one arm or just push them out of the way. It's much more physical than any sport I've ever played." 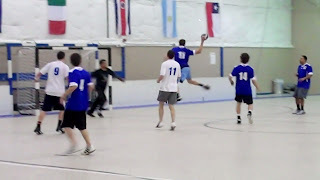 Because handball is similar to many other sports, players can be recruited from sports like volleyball, basketball, and soccer. One of the players on the Salt Lake City Handball Club is a pilot for the U.S. Bobsled Team. There is a lot of "international flavor" on the Salt Lake City team, from countries like Argentina, Vietnam, and the Middle East. The coach for the Salt Lake City Handball Club played on the Egypt national team, and even has a few olympic medals. The U.S.A. National Championships in May are open to the public, and tickets will be available at the door. You will be able to buy day or weekend passes. It will be a great family activity, and will have a festival atmosphere with vendors and exhibitors. Because the players do not wear padding, "on Friday, the first day, everybody's going to be limping; by Saturday night, people are going to be aching; and then by Sunday when it's over, people are going back to the airport in crutches!" explains Patrick Higgins. It's a physical, high-action event you will not want to miss! If you are interested in playing for the Salt Lake City Handball Club, visit their website for more details on how to try out. You can also follow them on Facebook.